We made two of these tables for separate clients. One is the hostess table at Evviva Cucina and the other a display table for North Shore Clothing Co. 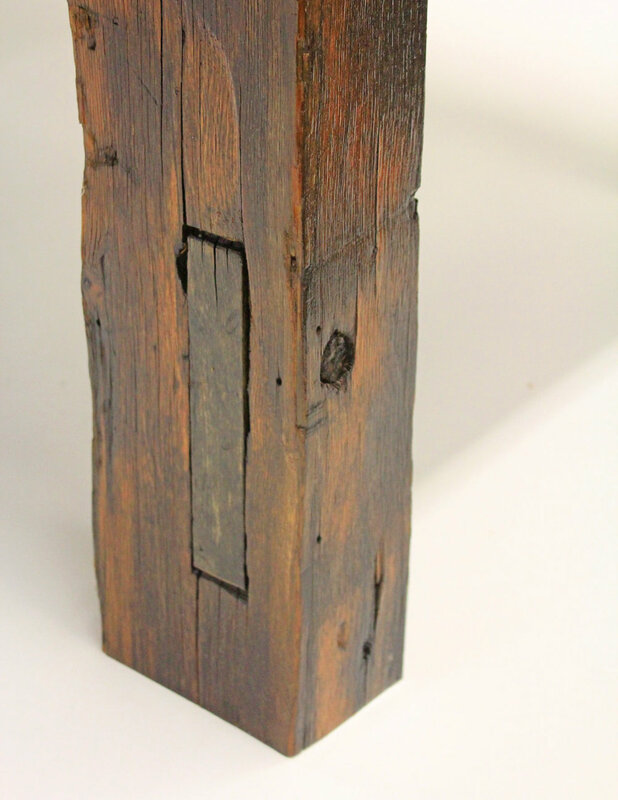 They are both matching halves of the same fire door from an early 1900's factory building. 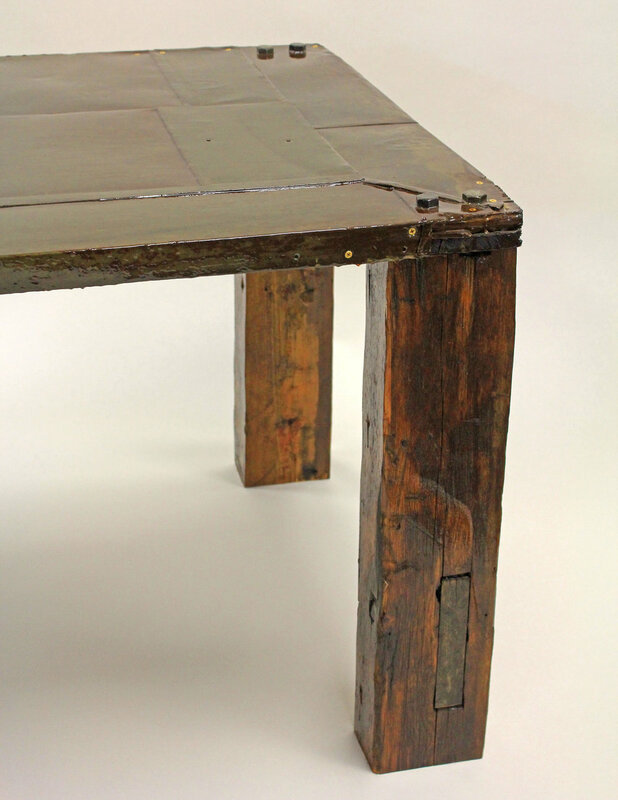 We uses reclaimed hand hewn barn beams for the legs and large industrial lags and brass screws for hardware. These are truly unique tables to see in person and we're glad they went to good homes.